Are you ready for the Table Top Tower Challenge? Mister C is all about creating fun and exciting opportunities for students and families! So much in fact that he created a challenge for families to do at home! This one is SIMPLE, but you can make it as complex as you need! It’s called the Table Top Tower Challenge! What will you need? Click the flier image and download the PDF. Once you have the PDF, follow the directions to build the tallest tower you possibly can using paper or plastic cups of any size! That’s right any size! Then, grab some index cards and start building. You’re the engineer, so go ahead and design the tallest, baddest, and most awesome tower you can! 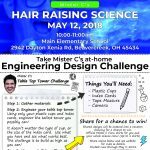 Once you have your tower built, snap and photo and post it to Mister C’s Facebook Page in the Table Top Tower Challenge Event. 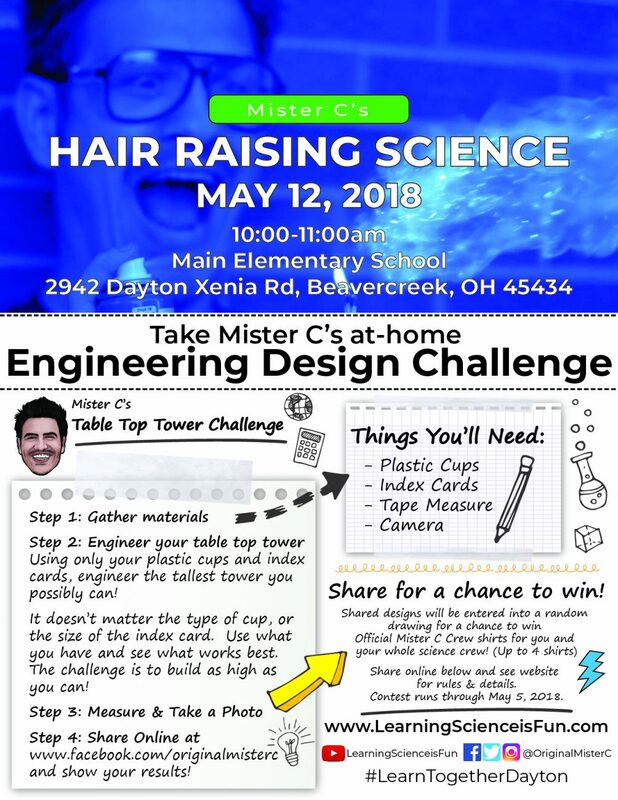 By entering your child’s photo with his/her tower, you consent and provide permission to Mister C to include the photo on his Facebook page. It doesn’t matter if your tower is 1 foot tall, or 10 feet tall, you’ll be entered into a random drawing (using an online random selection app) to win 4 Mister C Official Crew Member shirts. All tower images must be submitted no later than 11:59pm on May 5, 2018. Only one entry per student, however multiple entries from siblings is permitted (i.e. a brother and sister both build a tower and post of picture of their towers. Each child will be entered into the random drawing to be eligible to win the 4 shirts). Take your time, design and then build away! Mister C can’t wait to see your entries!